Across America, multiday festivals draw thousands of birders and have significant economic impact on the communities where they are held. The number and size of these festivals have grown with the rise of birding, which has been called the fastest-growing outdoor activity in the country. 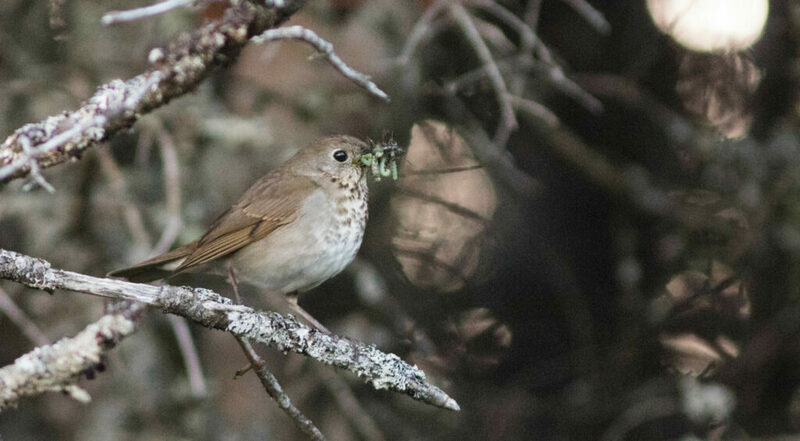 Though Maine’s schedule of spring birding festivals has grown to roughly six per year – the newest will be held in Rangeley in June – organizers say drawing thousands of high-spending, out-of-state birders is not the goal. 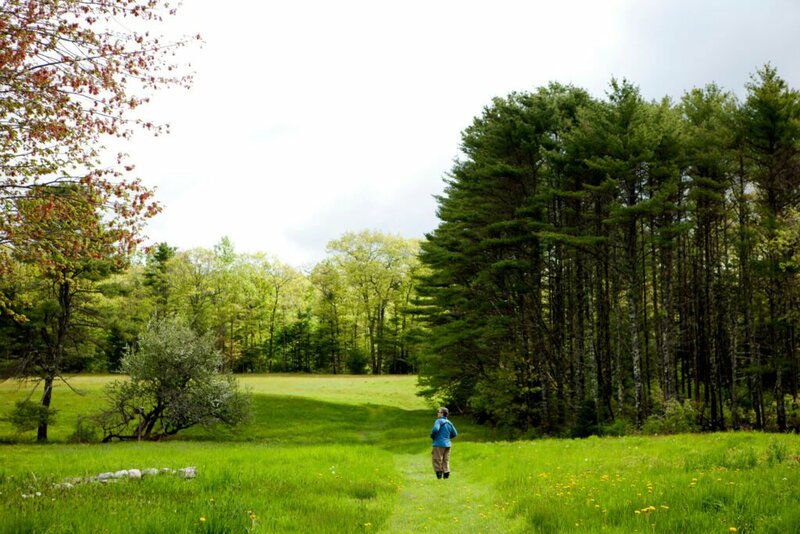 Instead, they want to offer rich, personal, memorable and authentically Maine experiences. From Maine’s smallest birding festival in Deer Isle-Stonington (which organizers capped at 50) to its largest and oldest at Acadia National Park (the 21st annual Acadia Birding Festival is expected to draw more than 300), organizers say they’re aiming for quality, not quantity. That said, they don’t thumb their nose at earning tourism dollars. The Rangeley Lakes Heritage Trust, along with Maine Audubon, will host the the state’s newest birding festival. Doug Hitchcox, the Maine Audubon staff naturalist, said the event is starting small in part because of the many unknowns in planning a new festival, and also to keep it manageable and intimate. Hitchcox, who is a keynote speaker at the Acadia Festival and an organizer of the festival at L.L. Bean in Freeport, added that the Rangeley festival may not ever grow. Across the country, birders flock to festivals that promise unique species, multiple species and unusual looks at birds. Nationally, birding attracts 45.1 million adults, more than participate in fishing (35.8 million) or hunting (11.5 million), according to the U.S. Fish and Wildlife Service. Their data finds that the birders spend far more on food and lodging – as well as other expenses – than participants in other outdoor pursuits, some $39.4 billion in 2016. Birding festivals are held in nearly every state, and some hold several: Texas has 12, Washington nine and California six, according to the Cornell Lab of Ornithology. The largest festivals may bring in millions of dollars, such as the Space Coast Birding and Wildlife Festival in Titusville, Florida, attended by nearly 1,000 birders who contribute $1.2 million annually to the local economy, according to the Brevard Nature Alliance. The 25-year-old Rio Grande Valley Birding Festival in Harlingen, Texas, draws about 600 birders to the five-day event, with an annual economic impact of $3 million, according to the nonprofit festival organization. A 2014 Texas A&M study reported that the annual economic impact of birding in the Rio Grande Valley is $463 million. The aptly named “The Biggest Week in American Birding” festival, draws 1,500 people from around the country and world, according to the Black Swamp Bird Observatory in Oak Harbor, Ohio. During the region’s two-month migration period, more than 90,000 birders generate $44 million in the local area, said Jasmine Cupp, communications director for the observatory. For organizers of Maine’s festivals, the dream is decidedly different. 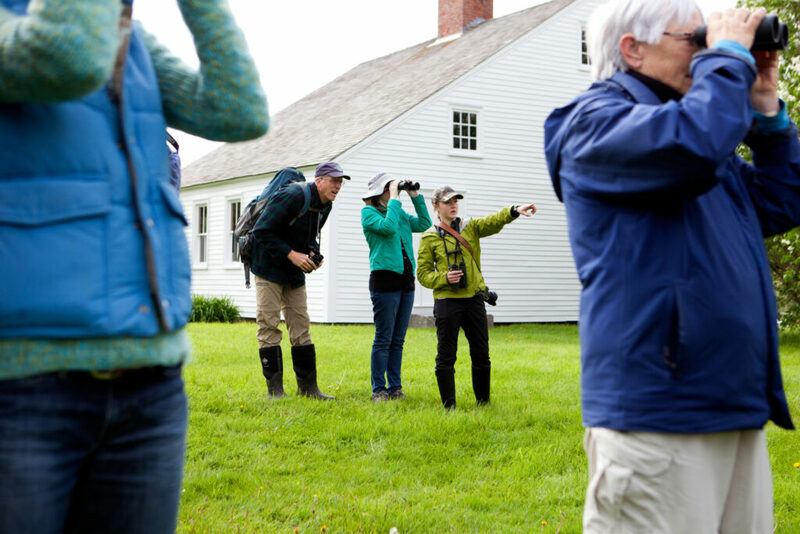 In the past 20 years, the number of birding festivals in Maine in the spring has grown to six. This year’s tally: two in Freeport, three along the Downeast coast, and the Rangeley newcomer – all started to help local economies during a quiet time of year or expand the pool of birders. A seventh festival often is held in northern Maine, but volunteers decided not to hold it this year, Hitchcox said. 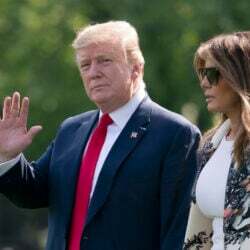 He believes it will return. 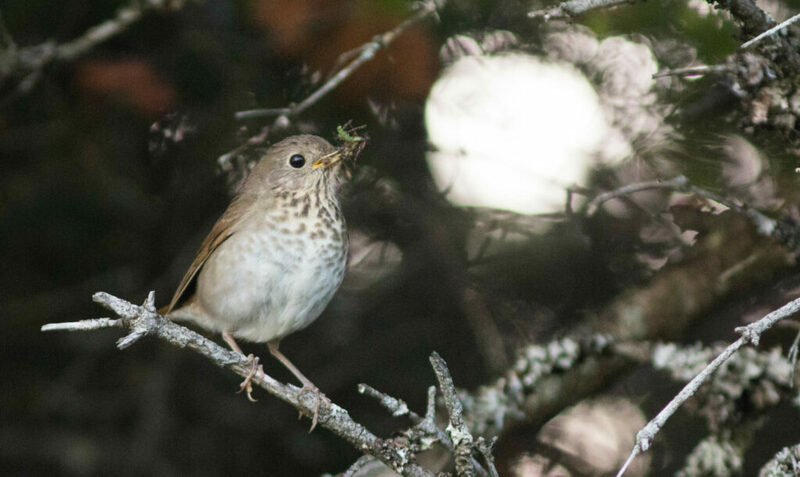 While the Acadia Birding Festival has no economic impact figures, given that it draws twice as many birders as the Downeast Birding Festival, perhaps its impact is double, too. The festival has grown from 75 in 2010 to more than 300 the past two years, said the executive director, Becky Marvil. In the early years of the festival – originally called Warblers and Wildflowers – she worked to expand it from the 50 or so who attended. With that in mind, she made it a four-day event in 2005; in 2009 she brought in a keynote speaker; and in 2011 she added another. In 2015, she scheduled three keynote speakers – famous ornithologists from Maine and beyond. As at many other festivals, participants pay a nominal fee ($15) to attend, then order a la carte from a menu of birding walks, van or boat trips, seminars and speakers. 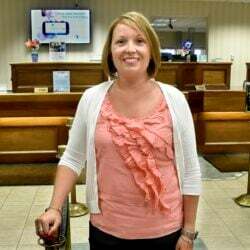 Many spend $200 to $300 on the festival, Marvil said, plus more for lodging, food and travel (in 2018, 74 percent of the 306 attendees came from out of state, she said). Marvil would like to attract more and better guides but keep the number of participants steady. 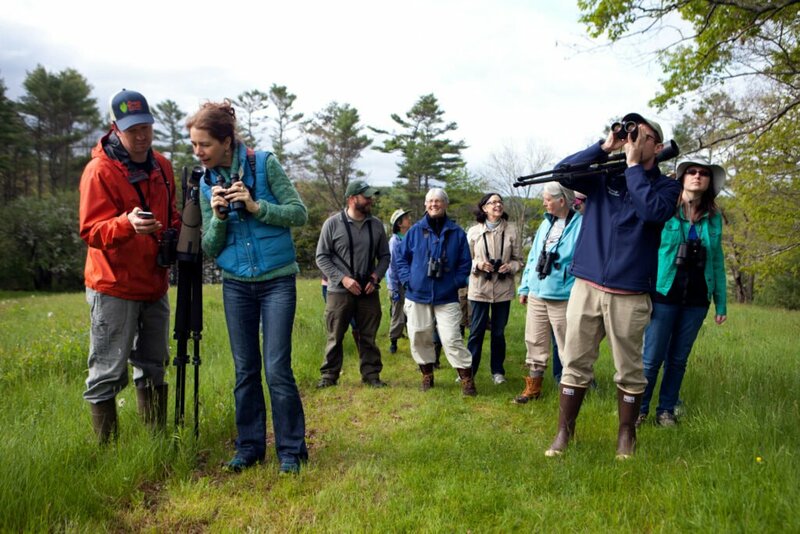 The remaining spring birding festivals in Maine are much smaller or shorter – and that’s just how organizers want it. Both Freeport festivals are aimed at introducing non-birders to the activity. 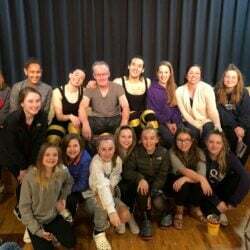 The Bradbury State Park manager, Chris Silsbee, said the number of people who attend the Feathers over Freeport event is unknown because the festival is free beyond the nominal entrance fees for Bradbury and Wolfe’s Neck Woods state parks. He estimated that 1,000 people wander through during the two-day festival. The L.L. Bean-Maine Audubon Festival’s bird trips and presentations also are free, although the boat trips are not. “Our goal is to provide an easy point of entry to birding,” said Hitchcox, an organizer of the event, citing as an example that the L.L. Bean festival-goers usually are offered binoculars to use, rather than being expected to have their own. Deer Isle-Stonington’s Wings, Waves & Woods, which is headed into its 12th year, will never grow beyond 50 people, according to the Island Heritage Trust. The past two years, 40 people attended, with just 10 from out of state.